No matter how hard you try, some people just reject the truth that you share with them. 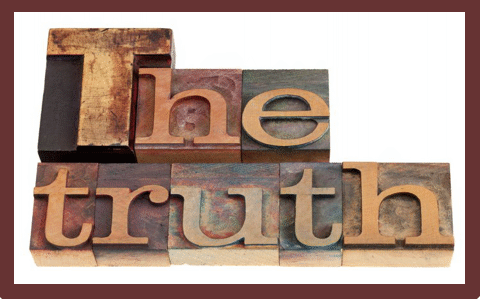 The truth that I am speaking of it “The Truth” of the gospel of Jesus Christ. But no matter how you look at it, The Truth is the truth, even when you reject it. As I studied this reality, I found that the Bible is rich with examples of the results when it comes to accepting or rejecting God and Truth. Here are some things that I have found. Luke 8:40 And it came to pass, that, when Jesus was returned, the people gladly received him: for they were all waiting for him. Luke 10:38-39 Now it came to pass, as they went, that he entered into a certain village: and a certain woman named Martha received him into her house. And she had a sister called Mary, which also sat at Jesus’ feet, and heard his word. John 1:12–13 But as many as received him, to them gave he power to become the sons of God, even to them that believe on his name: 13 Which were born, not of blood, nor of the will of the flesh, nor of the will of man, but of God. Acts 16:28–30 But Paul cried with a loud voice, saying, Do thyself no harm: for we are all here. 29 Then he called for a light, and sprang in, and came trembling, and fell down before Paul and Silas, 30 And brought them out, and said, Sirs, what must I do to be saved? Psalm 50:16–17 But unto the wicked God saith, What hast thou to do to declare my statutes, Or that thou shouldest take my covenant in thy mouth? 17 Seeing thou hatest instruction, And castest my words behind thee. Proverbs 5:12–13 And say, How have I hated instruction, And my heart despised reproof; 13 And have not obeyed the voice of my teachers, Nor inclined mine ear to them that instructed me! Mark 6:2–3 And when the sabbath day was come, he [Jesus] began to teach in the synagogue: and many hearing him were astonished, saying, From whence hath this man these things? and what wisdom is this which is given unto him, that even such mighty works are wrought by his hands? 3 Is not this the carpenter, the son of Mary, the brother of James, and Joses, and of Juda, and Simon? and are not his sisters here with us? And they were offended at him. Luke 4:28–29 And all they in the synagogue, when they heard these things, were filled with wrath, 29 And rose up, and thrust him out of the city, and led him unto the brow of the hill whereon their city was built, that they might cast him down headlong. Luke 23:16–20 I will therefore chastise him, and release him. 17 (For of necessity he must release one unto them at the feast.) 18 And they cried out all at once, saying, Away with this man, and release unto us Barabbas: 19 (Who for a certain sedition made in the city, and for murder, was cast into prison.) 20 Pilate therefore, willing to release Jesus, spake again to them. So, as I studied this topic I have come to the conclusion that “…there is no new thing under the sun” (Ecclesiastes 1:9). Though it is sad that we share the truth and people reject it over and over again, the good news is that “Jesus Christ [is] the same yesterday, and to day, and for ever” (Hebrews 13:8).That means He was the Truth when we believed the gospel of our salvation. He is the Truth today and He will ALWAYS be the Truth, even when some reject Him. Our job does not change regardless of acceptance or rejection. We are called to tell people of the truth of the gospel which is simply that Jesus died for our sins and rose from the dead And there were eye witnesses to this historically real-life event (1 Corinthians 15:1-7)! All of this according to Scripture – which is the only Truth. Read more about the Truth here: How Do We Know the Bible is True? Previous post: Is The Montessori Method biblical? Is Montessori Education Christian? Next post: Can Christians Commit Blasphemy of the Holy Spirit?